Somewhere near Bacchus Marsh, Victoria. 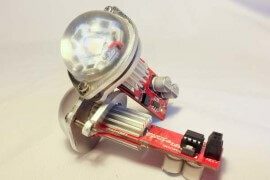 RV-4 and -6 builders: Would you like a Flyleds kit? Van’s have a (cheap!) perspex and metalwork kit available to modify your wingtips, and we are in the process of making some boards to suit this kit. The only problem is, Van’s have almost run out of stock and intend to obsolete the parts. Please send us a message to say you’re interested in the kit, so that we can get an idea of numbers and hopefully convince them otherwise, or alternatively we’ll second source the components. 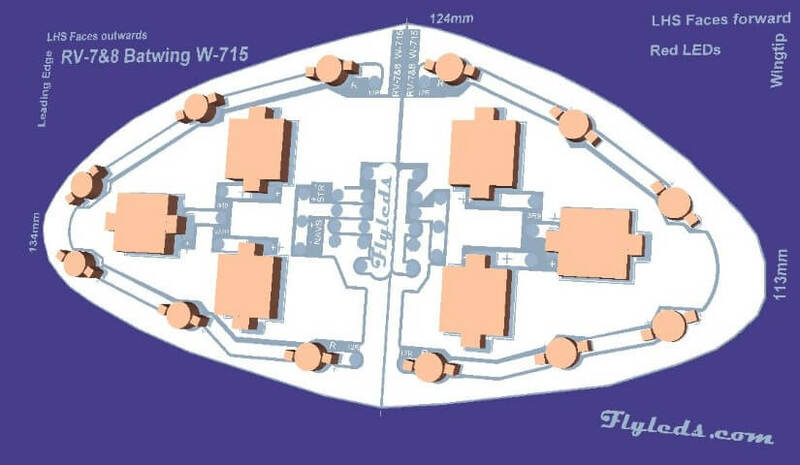 W-715 Batwing boards are here! 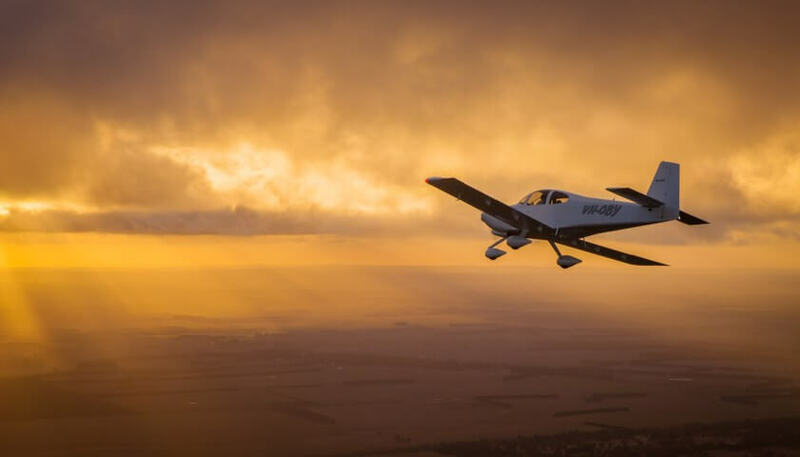 Do you own an RV-7 or RV-8 with curved trailing edges on your wingtips? You’d have W-715 fibreglass, which has a smaller light profile than the newer W-715-1 wingtips. We now have boards specifically for you! Just select this board style on checkout. Flyleds has had a rush of orders in the last month or so, which is a great affirmation to us that we must be doing something right. Sales are literally taking off (sorry, I couldn’t resist! ), after some chatter about us on the forums. Time for us to restock! As much as we love answering your questions before you buy, it’s also a buzz to see an order pop out of the blue into our inbox. A big “Thank You for your business” goes out to all of our customers, past and future. Many thanks goes out to all of our customers so far. We very much appreciate your business. We’re taking a two week break over Christmas and New Year 2016, so there will be a small delay in shipping any new orders. However, we will continue to answer your emails within 24 hours as usual. Any questions, please ask! Please have a safe holiday, unlike Paul, who’s just broken his arm…! We’ve had a few requests for the tail strobe to be used as a stand-alone unit. We liked the idea too, so a new product is born! It comes with our unique mounting plate. It has eight different flash patterns to choose from, and you can also ask us to program in custom messages to be flashed out in Morse code. Just because! Don’t forget to tell us your tail number and your custom message, so that we can program the blink patterns in for you. 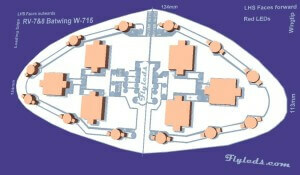 RV-9 builders are now catered for with a new, smaller, custom fit board made just for you! Just select “I’m building an RV-9” when you order, and we’ll send you the right parts. Alas, my camera just can’t cope with the brightness changes, or keep up with the flashes! The strobes are actually set for four flashes each time. 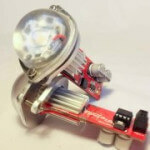 Thanks must go out to a blogger for publishing his thorough analysis of a certified LED strobe product from a big name company. He verified our thoughts that there were also some other products out there that weren’t even bright enough to put on the back of a bicycle these days, let alone an aeroplane. The figures he derived from this analysis became the minimum goals for light output for our product. Hi. My name is Paul, and welcome to FlyLEDs! I’ve spent the last few years helping a friend to build his Van’s RV-10. He wanted to use LEDs for the strobes and position lights. The target light output was to be the same as or better than a certified LED product, as seen fitted to a Cessna Citation business jet. I set about researching other designs, and after picking myself up off the floor upon seeing the prices, I came up with this design. The prototypes have flown for more than 100 hours. After getting several requests for a set of lights from other owners, I’ve sourced the parts in bulk, had quality custom boards made, and ordered a factory run of LEDs. So now you can have a set too!